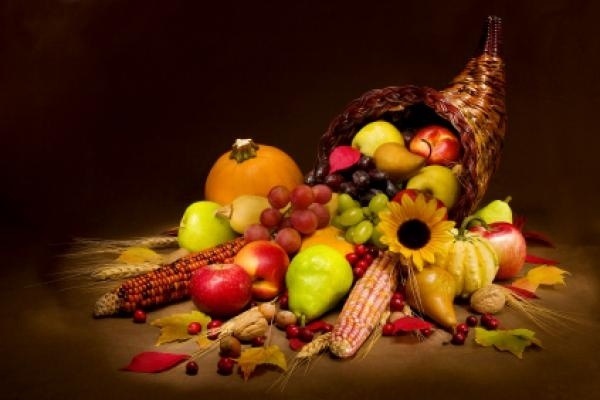 On behalf of LJAY HEALTH, I want to wish everyone a Happy Thanksgiving! Thanks so much for following and reading my blog. I am thankful to have all of you as a great support system and fitness family! Enjoy your feast, workouts, family etc! Share with us, what are you thankful for this Thanksgiving? LJ, thank you for a tall podium from which to express thanksgiving! I shout out my gratitude for children who delight and scare their parents for years of growth and mature to cover their aging parents with tender, loving care. It’s love with boots on! That’s good to hear! Sounds like you have great kids 🙂 happy holidays! @oldswimmer, what a beautiful sentiment. Thank you for sharing such kind thoughts! I am thankful for my kids and wife! Thanks Ljay your blog is great! It has helped me and my family stay in shape and keep each other motivated. We are thankful for you and your blog. The fitness community on your site is very supportive and helpful! Happy Thanksgiving! Happy Thanksgiving. For what it’s worth, I take a multi-vitamin and alfalfa everyday. Alafalfa is also supposed to help with allergies. I take the garlic when I am trying to fight off a cold (like today). I get all my supplements from Shaklee. Thanks Jim, you do the same! Good to hear from you. I’m hoping to eat pretty good! Thanks for the great, informative posts! I am thankful for the wonderful fitness community I’ve fallen into at my home gym, for the people who became my family away from my family and are just all around wonderful. I’m grateful for the journey I am on right now and for the strength I was given to finally assert myself and pave my own way. Good luck on your journey and it seems to be a great one to be on! Really glad to hear you have found the strength to keep going and set new goals for yourself! I hope you had a great TG! Happy Thanksgiving to you L-Jay! I’m thankful for a healthy body and for fantastic friends and family. Stay healthy and safe through the holiday season and the years to follow!! Thanks alot! Having goof friends and familiy is tough and so hard to come by! Hope you had a great Thanksgiving! I’m thankful to a new find approach to wellness I found this year. Better eating, better workouts and even going backt to school to study exercise science. Happy and healthy all around. Thats great! Exercise science is a really good field and you will do great because you have a interest in it! Hope your TG went well. I’m grateful to have had a great meal with my son, and time with my elderly dog.